Courtesy of Key Factor Realty, LLC. Stunning multi-generation house in Stetson Valley. Highly desired energy efficient Evolution Model features Main house with 3 large bedrooms, 2 Bathrooms & Den/Office & Private Casita. Split floorplan with 9+ Ceilings, open chefs kitchen features granite counters, center island, breakfast bar, SS appliances, pantry, and wood cabinetry. Formal dining area with patio access and upgraded lighting. Gorgeous Backyard features a beautiful Pool with Water Feature, newly installed Travertine pavers, brand new build-in Summerset BBQ with connected nature gas, grass area & large covered patio. Full Casita with private entrance features full kitchen with granite counters, SS appliances, wood cabinetry ,1 bedroom with newly added build-in cabinets, and full bath, Stacked Washer/Dryer and 1 car garage. Approximate size: 8655.00 sq. ft. Please, send me more information on this property: MLS# 5880411 – $516,000 – 5742 W Gambit Trail, Phoenix, AZ 85083. 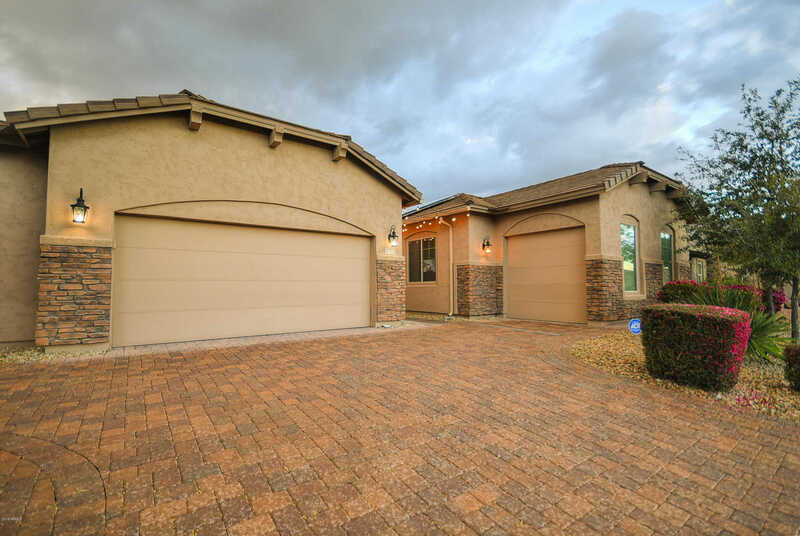 I would like to schedule a private showing for this property: MLS# 5880411 – $516,000 – 5742 W Gambit Trail, Phoenix, AZ 85083.